After 25 years at WPTV and 41 years in television news, Roxanne Stein signed off the air today a little teary eyed. A crowd of 30 plus erupted into a 57-second applause as her husband "Mr. Wonderful" handed her flowers. Staff members crowded the news desk to get a final photo with Rox. 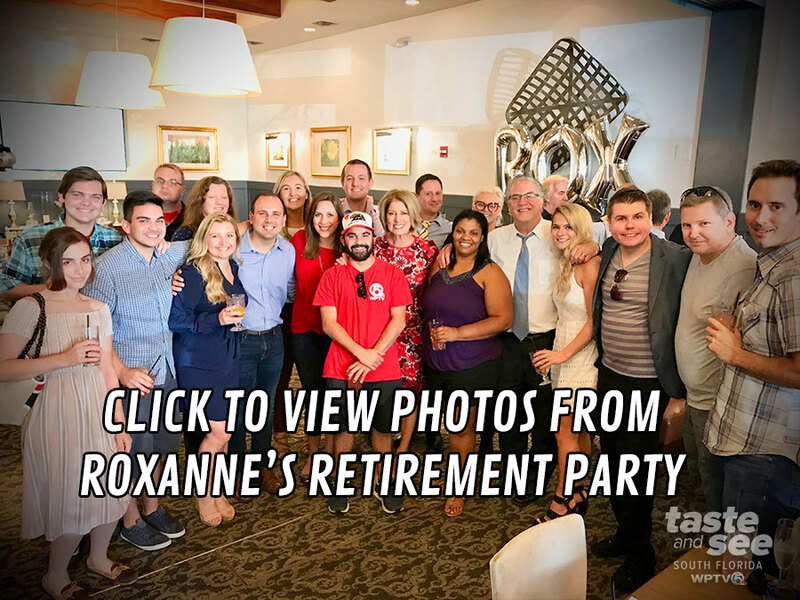 Then former and current WPTV staff members met at The Regional Kitchen and Public House to celebrate rox, eat and be merry.